Porcelain veneers may be the perfect solution for your smile makeover. 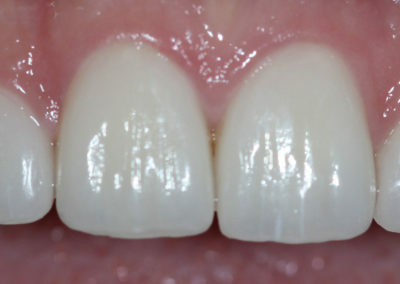 This conservative cosmetic treatment makes a dramatic difference in the appearance of your teeth. Whether you want to correct crooked teeth, chipped teeth, gaps in teeth or dull or stained teeth, Dr. Strickland will skillfully create a straight, brilliant smile that enhances your appearance and your self-esteem. 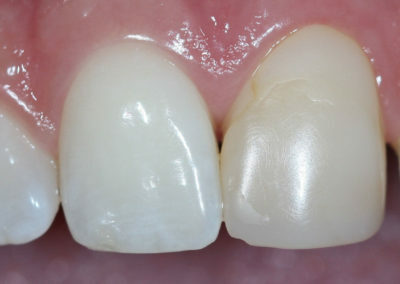 A: Porcelain veneers improve your smile by correcting a multitude of cosmetic concerns including gaps in teeth, chips and broken teeth, dull or yellowing teeth that cannot be whitened with traditional means, “gummy smile” (showing too much gum when one smiles), and crooked teeth. Porcelain veneers broaden, straighten, whiten and beautify most any smile. This procedure can be done in as little as two clinical visits. Many of our patients feel like this was the best improvement that could have been done for their overall confidence. Ask us about how porcelain veneers can improve your smile at your next visit or send us an email. Located in Woodbridge VA.